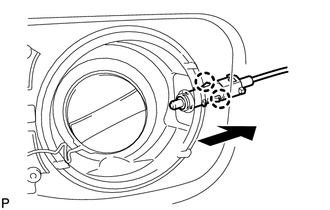 (b) Disconnect the fuel lid lock open lever sub-assembly as shown in the illustration. 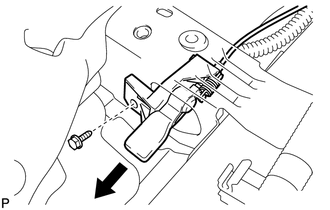 (c) Disconnect the fuel lid lock control cable sub-assembly. 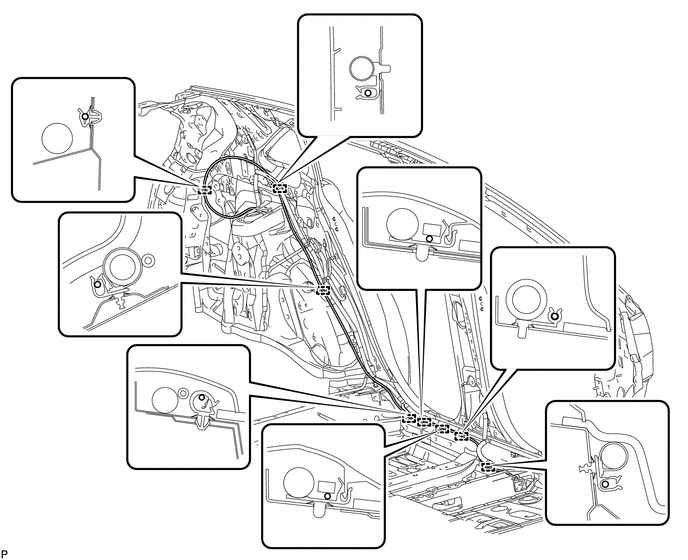 (a) Disengage the 2 claws and disconnect the fuel lid lock control cable sub-assembly. 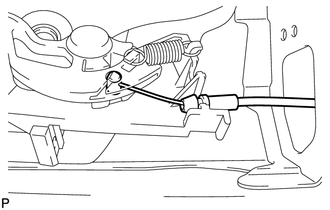 (b) Disengage the 8 clamps and remove the fuel lid lock control cable sub-assembly.